Cannabis industry advocates in Massachusetts know changes are coming to the law that voters passed last November legalizing recreational marijuana. But how modest or extreme those changes will be, and whether they’ll constrain the market, is less certain. Most rec marijuana advocates are resigned that they can do nothing to stop a committee of lawmakers from changing the law. Instead, proponents have turned their focus to trying to contain the alterations, hoping that whatever changes are made won’t adversely affect a recreational marijuana industry whose start already has been delayed until June 2018. The committee picked to examine the law is expected to address numerous issues, including packaging and labeling, home growing, hemp cultivation and expanding the size of the state’s cannabis commission. Whether voters or government officials in a municipality wield the power to ban cannabis businesses. The law – the Regulation and Taxation of Marijuana Act, or Question 4 – is not an amendment to the state constitution, so legislators are legally permitted to make alterations, regardless what voters approved. And the 17-member Joint Committee on Marijuana Policy – headed by Sen. Pat Jehlen and Rep. Mark Cusack – won’t lack for material as it considers any proposed changes to the ballot measure. Roughly 90 bills aiming to make alterations to the rec cannabis law have been introduced, although advocates say many are probably nonstarters. That’s an unrealistic number of bills for any group of lawmakers to tackle, so the committee is expected to review the measures – specifically, the concerns they express – and likely revise the adult-use law accordingly. “I’m cautiously optimistic that the lawmakers are going to do what they say they’re going to do, which is respect the will of the voters,” said attorney Adam Fine, who heads the Boston office of canna-centric law firm Vicente Sederberg. “We have to be vigilant,” added Fine, who helped draft the legalization initiative passed by voters. “If they start talking about delaying the sale of edibles and extracts and things like that for two years, that’s not what the voters voted for. And some proponents of the rec law worry legislators will cross that line. 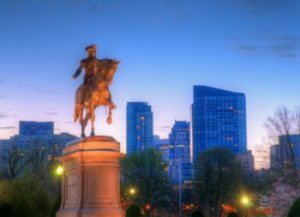 “I am concerned that substantive changes will be made to the initiative,” said Kris Krane, managing partner of 4Front Advisors, a cannabis-focused consulting firm in Boston that represents MMJ program applicants. Jehlen, senate chair of the committee, is considered a strong legalization supporter. She says marijuana proponents have no reason for concern under her watch. The initiative passed by voters calls for a 3.75% excise tax on recreational sales as well as a 6.25% state sales tax. Cities and towns could also levy a 2% tax, for a potential overall tax rate of 12%. The committee likely will change that provision, even though the tax rate was carefully considered in the draft process, say two of the authors, Fine and Krane. They said they tried to strike a balance between having a tax high enough to generate significant revenue while also having a rate low enough to undermine the illicit market. “That’s something that has a high likelihood of being looked at and changed,” Fine said. “I think as long as it’s reasoned and thought out, people won’t have a big issue with it. The other big business-unfriendly change that’s expected would give local governments the power to ban marijuana companies. Under the initiative, towns must issue a number of cannabis licenses that equals 20% of the number of liquor stores in town. So, if a town has 10 liquor stories, it must make two cannabis business licenses available. The initiative as written does not permit local governments to ban marijuana businesses but allows residents to do so by way of a referendum. “We will vehemently oppose any attempt to take away from voters the ability to prohibit marijuana establishments,” said Jim Borghesani, a spokesman for the Yes On 4 campaign that passed Massachusetts’ rec cannabis law.